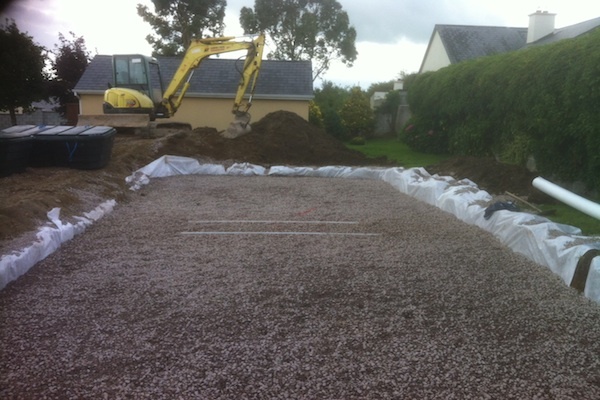 O.S.C is the most successful percolation testing company in Cork. 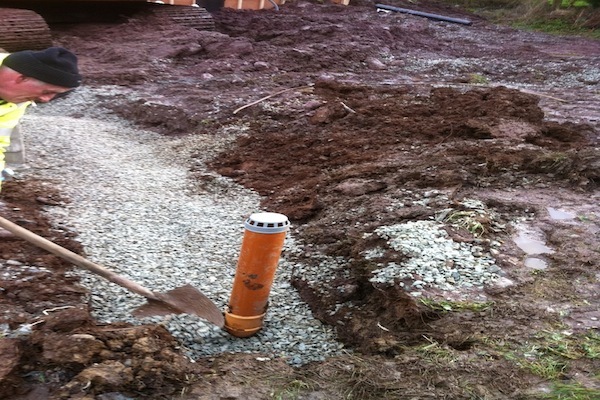 Percolation Testing in Cork O’Sullivan Consulting Percolation for planning permissions in the South West of Ireland. 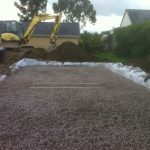 The testing is done by a fully qualified site assessors here in Cork. 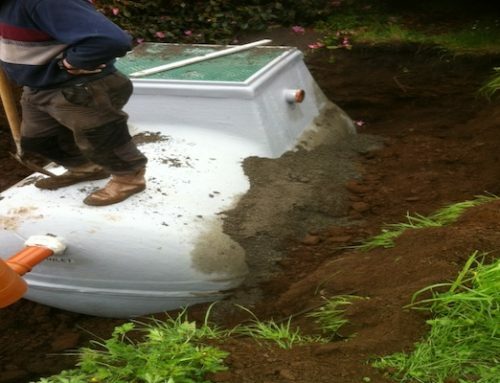 There is engineering insurance in place to cover up to amounts of €1,000,000 in value. We also have public liability insurance in place to give our clients peace of mind while we are working on their properties. Our reports are very detailed and include full E.P.A.C.O.P Site Assessment report, desk study, maps, O.S map showing local features, B.S 5930 soil test report, timed and dated digital photographs of the test in progress and top quality sewer system construction drawings consisting of plan, two cross sections and a long section. These drawings are level related and will be easy to follow for individuals involved in the construction of the effluent system during civil works. 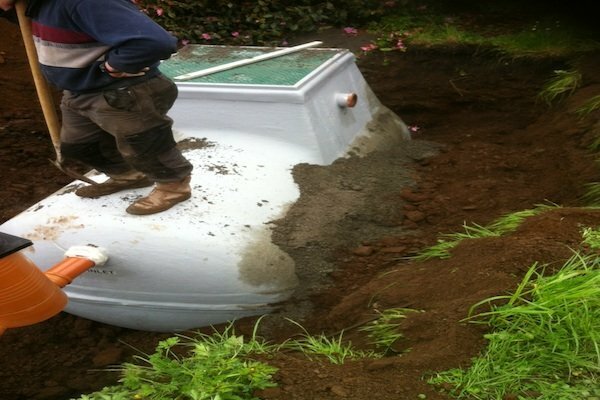 While the majority of our testing is undertaken for clients seeking planning permission for either new builds or home extensions, this is also a valuable service available to people who are interested in upgrading an existing septic tank system that is not up to correct standards. 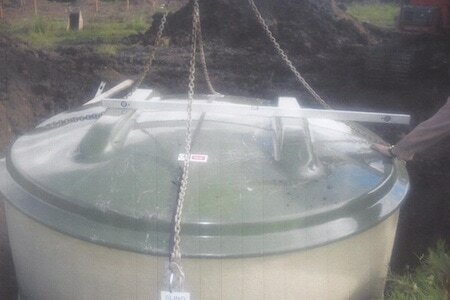 We offer a excellent top quality service at a fair price. 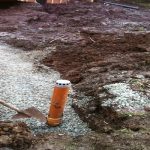 What is a Percolation Test in Cork? A percolation test is a test to determine the absorption rate of soil for a septic drain field or “leach field”. 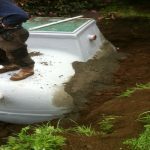 The results of a percolation test are required to properly design a septic system. 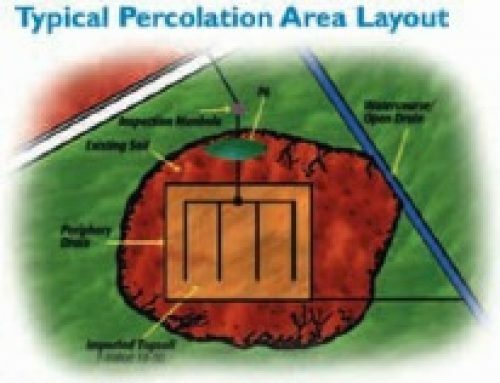 In its broadest terms, percolation testing is a simply observing how quickly a known volume of water dissipates into the subsoil of a drilled hole of known surface area. 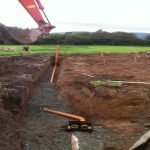 While every local authority will have its own laws regarding the exact calculations for the length of line, depth of pit, etc the testing procedures are generally the same. 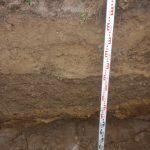 In general, sandy sol will absorb more water than soil with a high concentration of clay or where the water table is close to the surface. A percolation test consists of digging holes in the soil of the proposed drainage area to a specified depth, pre-soaking the holes by maintaining a high water level in the holes, then running the test by filling the holes to a specific level and timing the drop of the water level as the water percolates into the surrounding soil. There are various empirical formulae for determining the required size of a leach field based on the size of facility, the percolation test results, and other parameters. 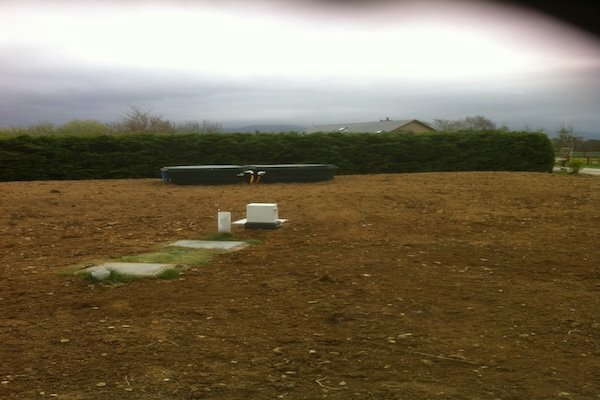 The drainage or percolation area is designed based on these test results. For leach line testing, test holes are drilled, most commonly twelve inches in diameter, Ideally, these should be drilled to depths matching your trench invert level. 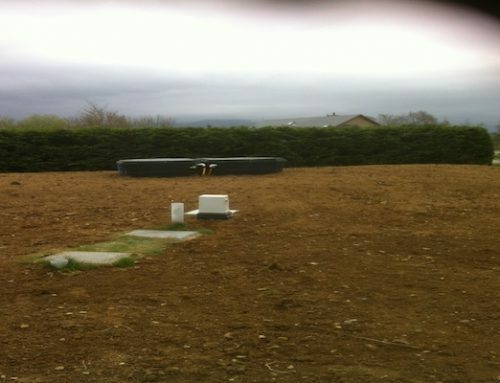 For better, more conclusive results, holes are used in a pattern of one hole at each corner of the proposed leach field and one test hole in the centre. Testing of these holes will result in a value with units of minutes per inch. This value is then correlated to a predetermined county health code to establish the exact size of the leach field. 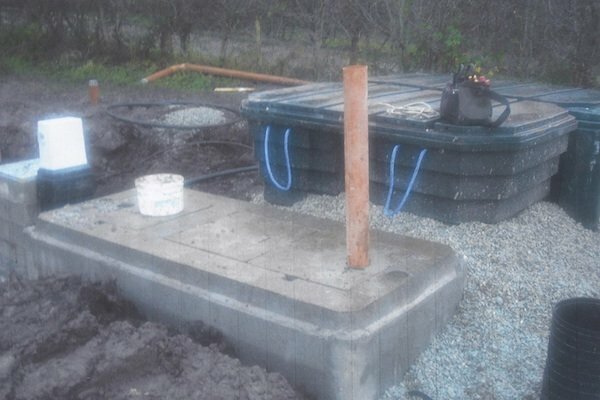 After the test is completed the results are used to design a suitable polishing filter or percolation area for the site, though the end result is a different type of septic system, established through a different calculation if needs be. 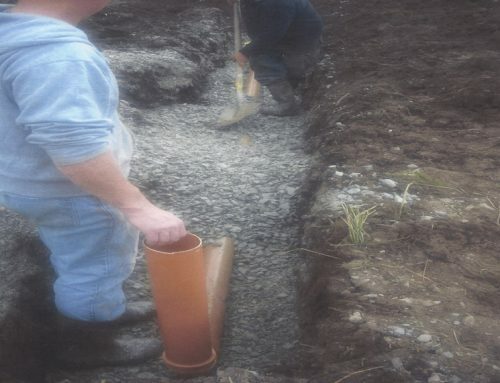 Finally, for leach line systems and horizontal seepage pits, a “deep hole” (TRIAL-HOLE) is drilled to find the water table or the approximately twelve feet (dry). Exact depths will again depend on local health codes. 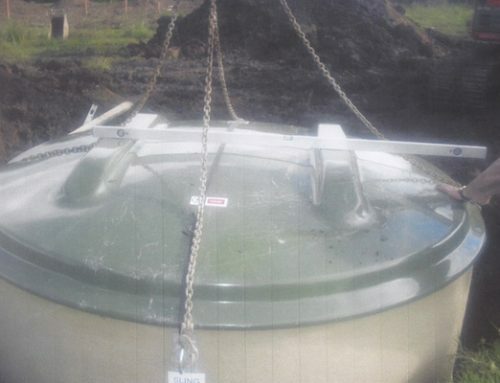 In the case of a vertical seepage pit, local groundwater data may be used, or if the drill hole reaches groundwater, the pit will be backfilled again according to county health codes. 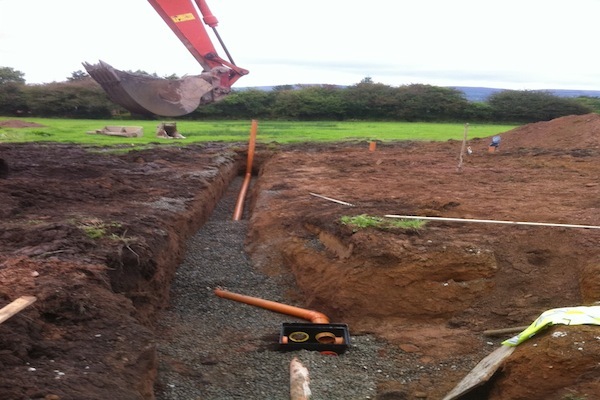 In Ireland there is a requirement for an area to be mapped around the site, photographic recording of the test, BS5930 soil analysis, detailed test reporting as well as level related detailed sewer system construction drawings to be included in the full site assessment report. OSC provide all of the above and expert drawing to support your submission for Planning.